Top best schools in Banashankari, Bangalore. 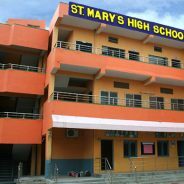 find the complete list of schools located in Bangalore. Bangalore top schools list you can find at Bangalore school directory. Find the right school for your child education. Check the list of Schools in Bannerghatta, Bangalore. At Bangalore school directory listed some of the best Schools in Bangalore with full contact information. Looking for the best schools in Basavanagudi, Bangalore. Here you can see the list of complete Bangalore schools. Searching the best school for your child? Here you can see the list some of Best Schools in Bellandur, Bangalore. Bommanahalli, Bangalore top international school list are listed at Bangalore School Directory. 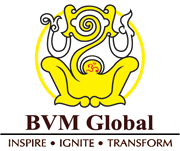 List of best schools in BTM Layout, Bangalore. Find the Information top-rated national and international schools of Bangalore. Check out the CV Raman Nagar, Bangalore Schools list in one place at Bangalore School Directory. Find the Primary, Secondary and Sr. secondary schools nearby you in Domlur, Bangalore. Schools list with contact information and review rating in Electronic city, Bangalore. Choose the right school for your child. List of all schools located in Indira Nagar, Bangalore. See the list of Bangalore top rated school. Check out the list of all the top-ranked schools around in JP Nagar, Bangalore. The complete list of national and international schools in Koramangala, Bangalore. Find out the best private and government schools list in Malleshpalya, Bangalore. Here is a list of best schools in Marathahalli, Bangalore. Top CBSE schools in Bangalore with full contact information. Check top CBSE schools in Rajarajeshwari Nagar, Bangalore. Top-ranked schools in Bangalore have listed here. Best Private, Government, Nation International schools in RT Nagar, Bangalore. All best schools in Sahakar Nagar, Bangalore are listed at Bangalore School directory. Find, Compare Schools for your child. Uttarahalli, Bangalore Schools list, admission details, contact information, Review-rating find at one place. At Bangalore School Directory. Check out the Private and Government schools list in Vidyaranyapura, Bangalore. List of best International schools in Vijayanagar, Bangalore. Choose the best school for your child education and career. High-class schools in Whitefield, Bangalore with address and contact information. Find the best option for your child education. Looking for the best school in India, Bangalore. Here is the list of schools in Yelahanka, Bangalore.